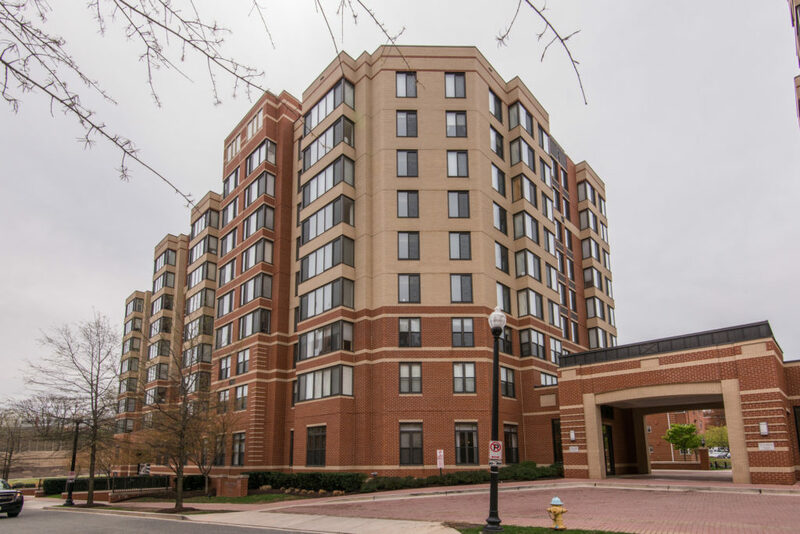 Park at Courthouse condominium in 2 sentences: Park at Courthouse is located convenient to both the Clarendon and Courthouse neighborhoods and provides luxury condominiums ranging from one-bedrooms all the way up to two-bedroom and den floor plans. While not immediately in the best location, the community is a short walk to all the urban amenities that the area has to offer. Park at Courthouse is one of the newer condominiums in Courthouse having been built in the year 2007. The community is located at 2220 Fairfax Drive which is at the very end of the street before it connects with Arlington Boulevard. 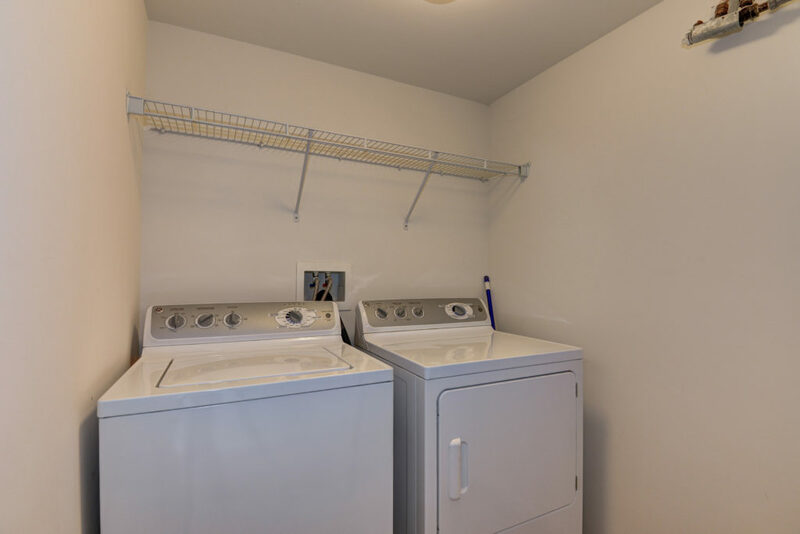 Park at Courthouse features one, two, and larger two bedroom and den residences. For the most part, the floor plans will be standard but there are a few nuances to take note of. Firstly, the one bedrooms that are located on the first level will feature tall ceilings and exposed duct work. This industrial look is unique to the area and provides a loft-type atmosphere. 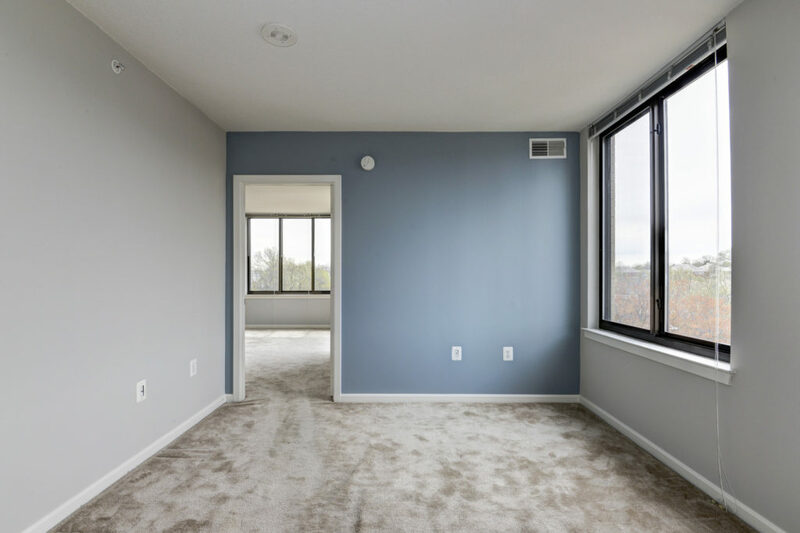 One-bedrooms range from around 700 square feet to the larger one bedroom and dens that will be almost 900 square feet. Two bedroom layouts are going to be a sufficient size and are going to all feature two bathrooms. The larger two bedroom and den residences are going to be some of the better units in the building as they will be situated on the higher floors with better views. 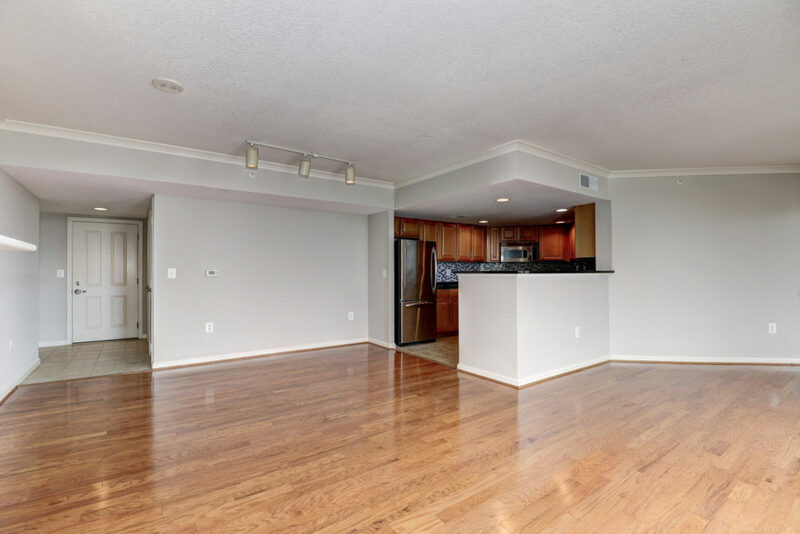 With floor plans that hit almost 1,600 square feet, these spacious layouts will feature gourmet kitchens, hardwood floors, and almost always come with a balcony. 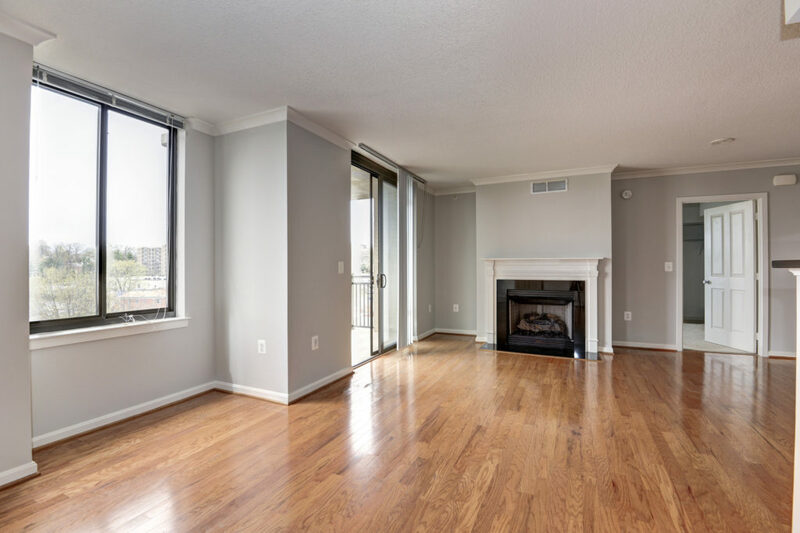 Condos at Park at Courthouse are still fairly new so you should have high exceptions regarding the types of finishes used in the condos. Having said that, the quality should meet or exceed expectations. 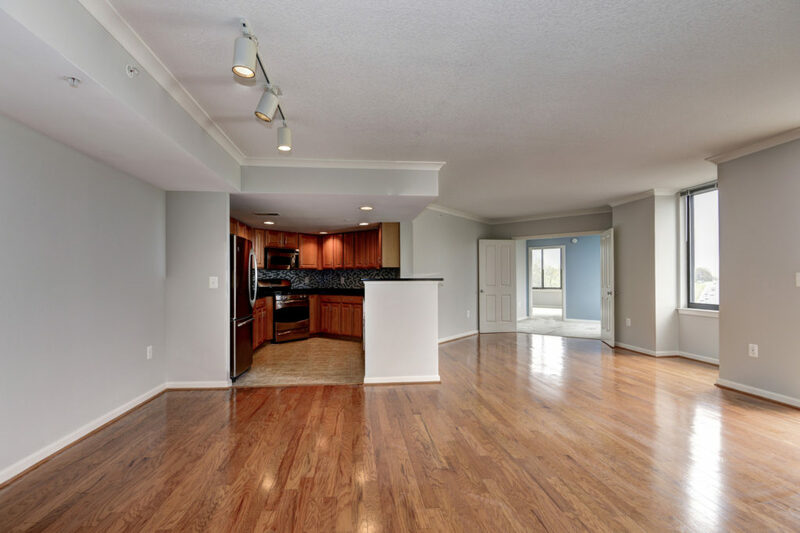 Floor plans are bright and modern. However, the community does not get as much attention as other condos in the area that were built around the same time. I think that’s mostly location-based bias. Park at Courthouse is in a somewhat convenient location but since it’s not front-and-center like on Wilson Blvd or Clarendon Blvd, and since it doesn’t have as prominent of an exterior, I think it struggles to garner attention. 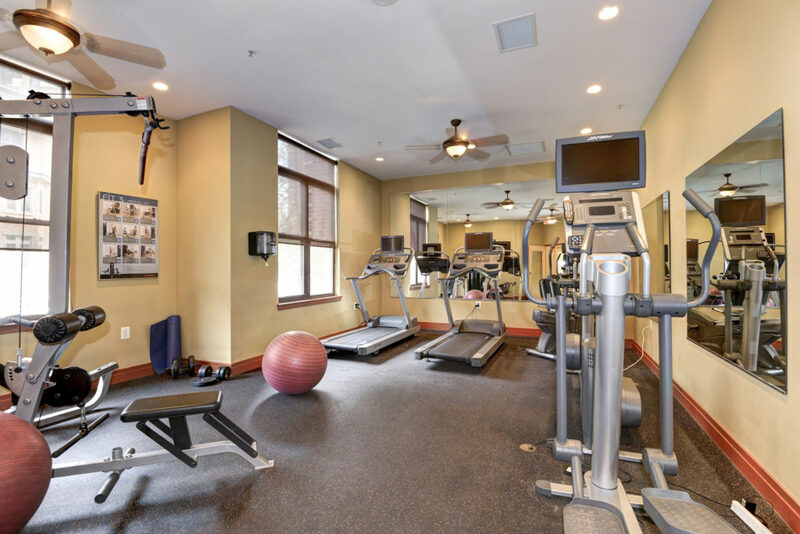 There are a few amenities in the community and they consist of a fitness center, a conference room, a business center, and an on-site manager. Nobody is going to look to move to The Park because of amenities, although they ones that are included are certainly nice to have. 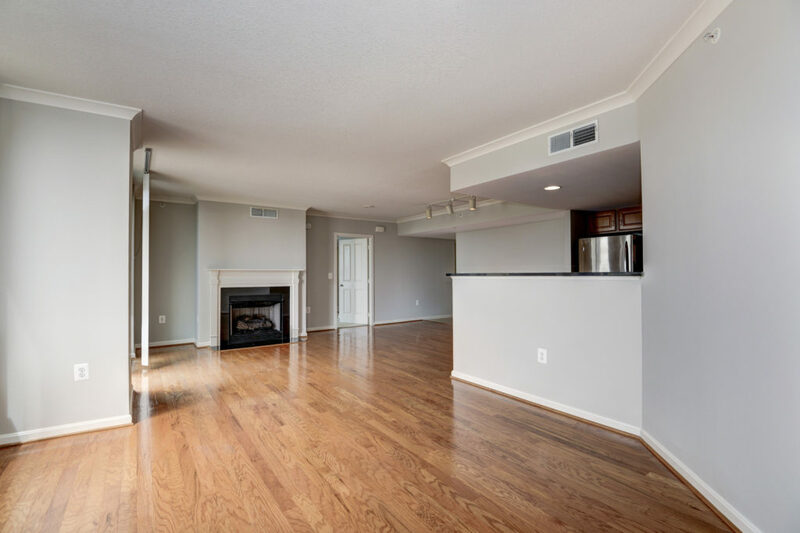 One downside of the community is that for the two and den layout, you may have to walk through the den to reach the master bedroom so the den almost feels like its just an extension of the bedroom instead of its own space. Another potential downside is Park at Courthouse’s proximity to affordable housing communities. The point of this is not to debate affordable housing, but rather to point out that there are multiple communities, including The Frederick, which is literally attached to Park at Courthouse, that serve the affordable housing community within earshot of Park at Courthouse. 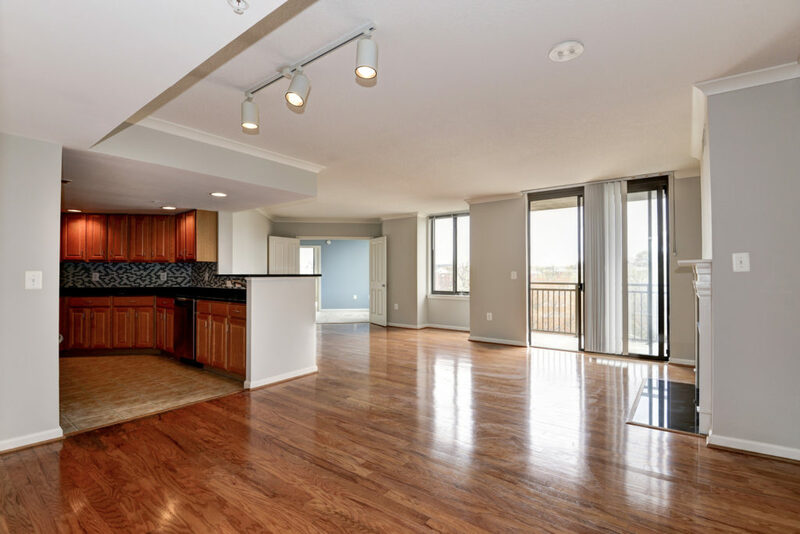 I’ve worked with a lot of renters and buyers over the years that tell me they do not want to look at condos for sale in Arlington VA that are located near affordable housing communities. I have yet to work with a client that has told me that they want to purchase a condo that is located near affordable housing. This is the market telling me that Park at Courthouse’s location takes a hit because of its vicinity to affordable housing. 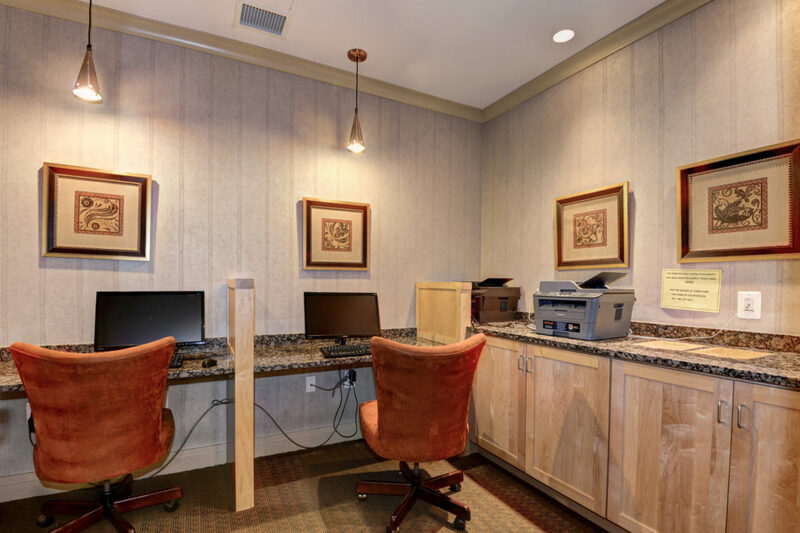 One advantage of the community is that it is deceptively close to the Clarendon neighborhood. 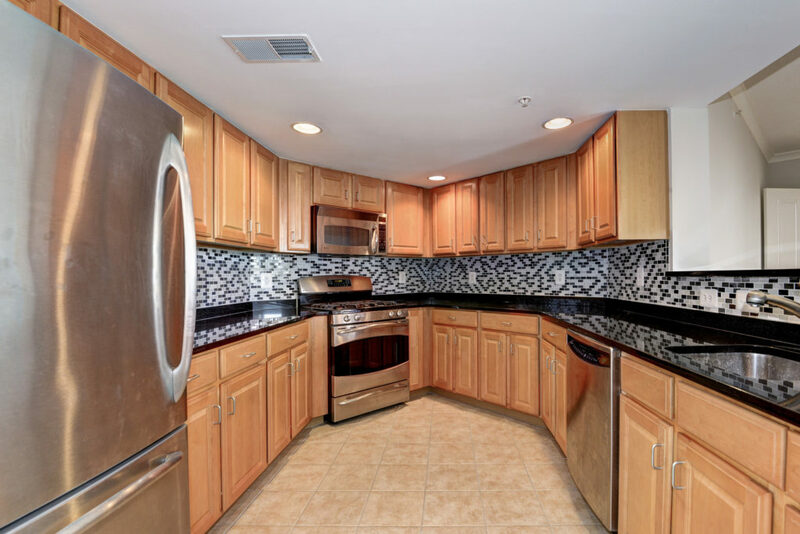 One can walk to the Whole Foods in Clarendon in less time than it would take a resident of The Phoenix condominium, which is actually located in Clarendon. 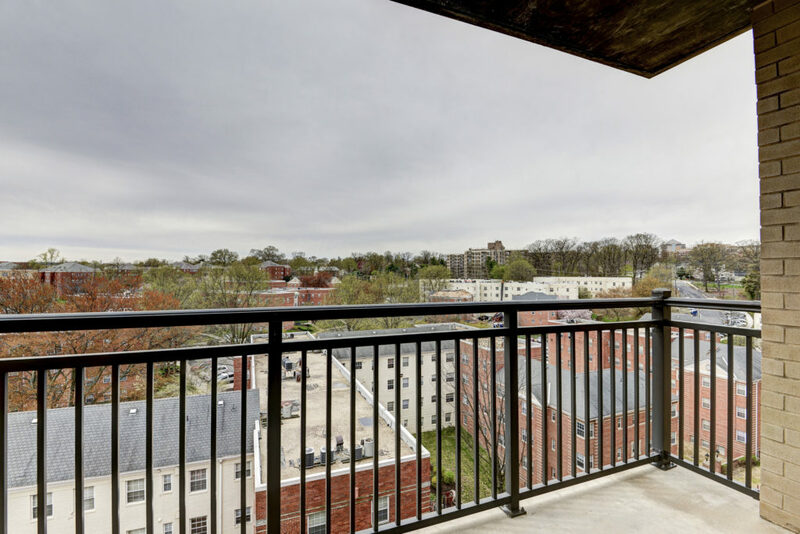 The Park is located in the Courthouse neighborhood but you do get all the benefits of living in Clarendon as it is just a seven-minute walk away. Park at Courthouse has modern units walkable to Metro. Since the location is good, not great, but good, the price reflects that. Make no mistake, these are luxurious condos, but they are not priced at the top of the market. So if you’re looking for new or newish and want to save a few bucks, Park at Courthouse could be right up your alley.